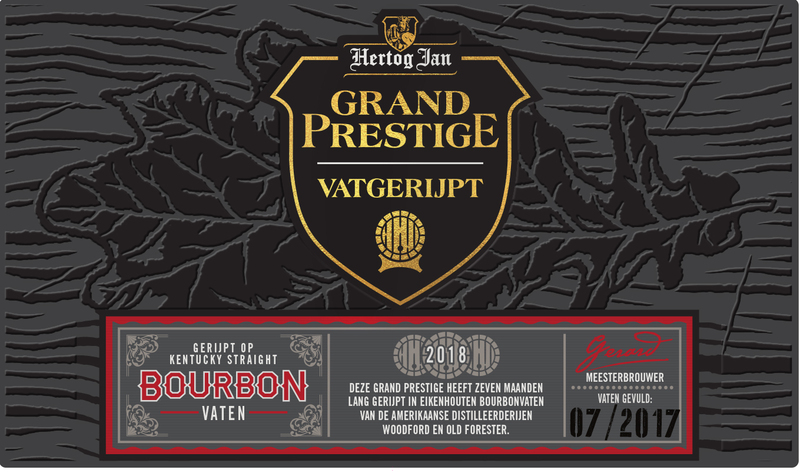 Create the branding and packaging for a series of barrel-aged Grand Prestige beers, to be released annually in strictly limited quantities. 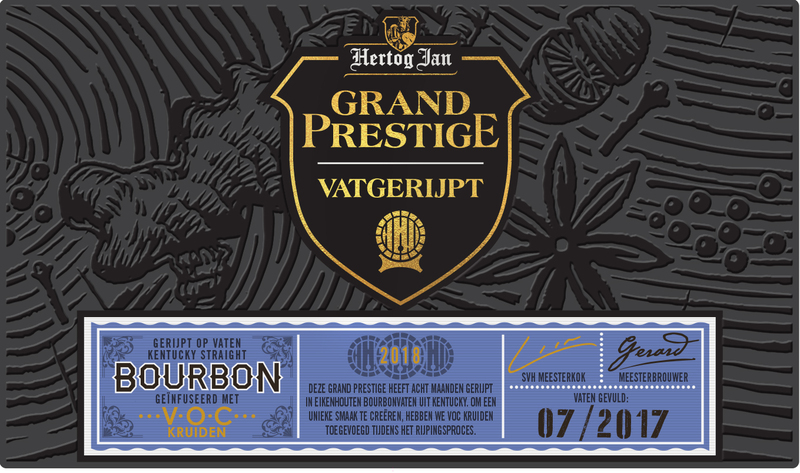 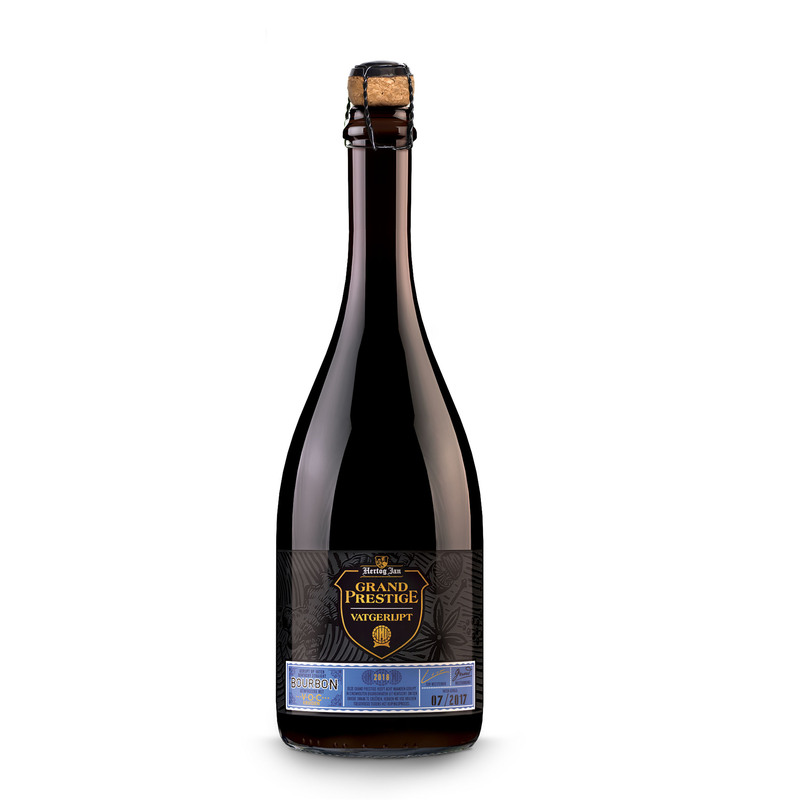 Weighing in at 10% ABV, Grand Prestige is known as the Brewery’s ‘Crown Jewel’. 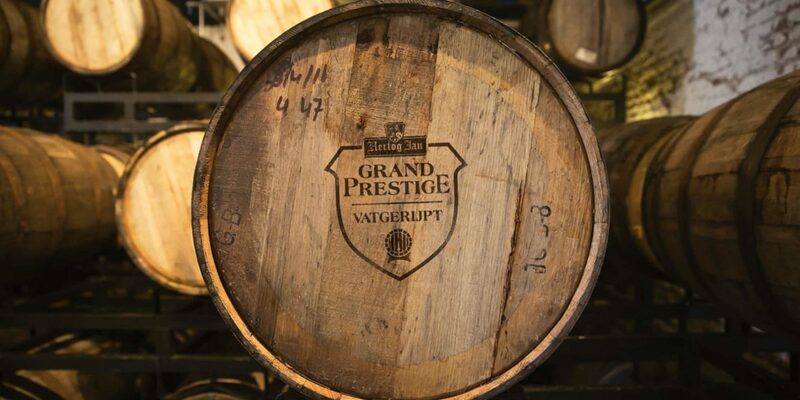 Limited quantities were already bottle-aged but barrel-ageing, successfully pioneered by sister brand Goose Island, opens up a whole new world of taste discovery. Barrel-ageing speciality beer normally takes place in second use barrels. 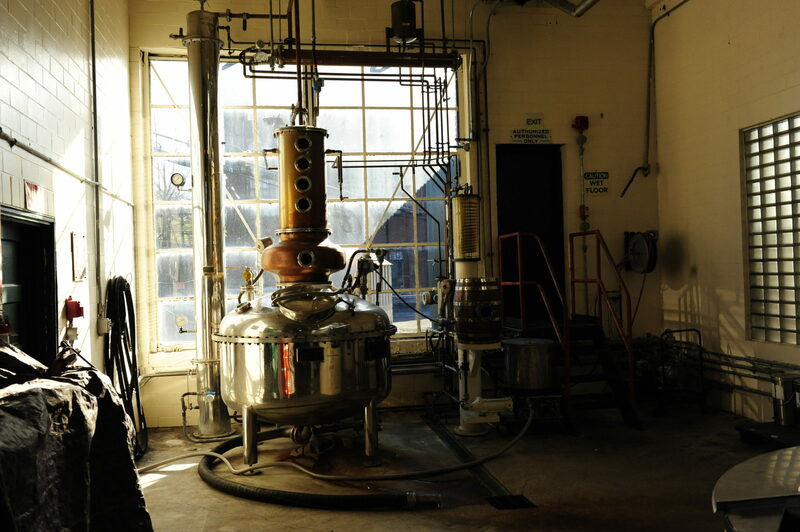 This infuses an already complex flavour profile with notes of the spirit that was originally matured, as well as flavours derived from the fired wood. 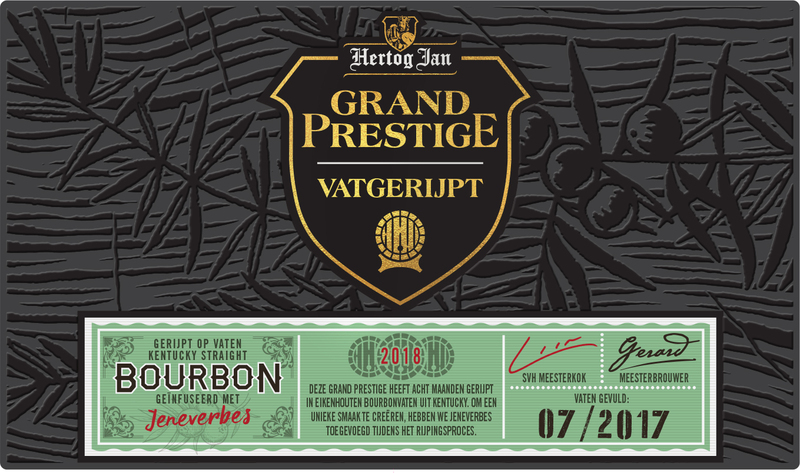 A liquid of real character and prestige emerges, that elevates beer (as we normally think of it) to another level. For the bottle we re-purposed a curvaceous wire-corked beauty from AB-InBev’s Leffe brand. 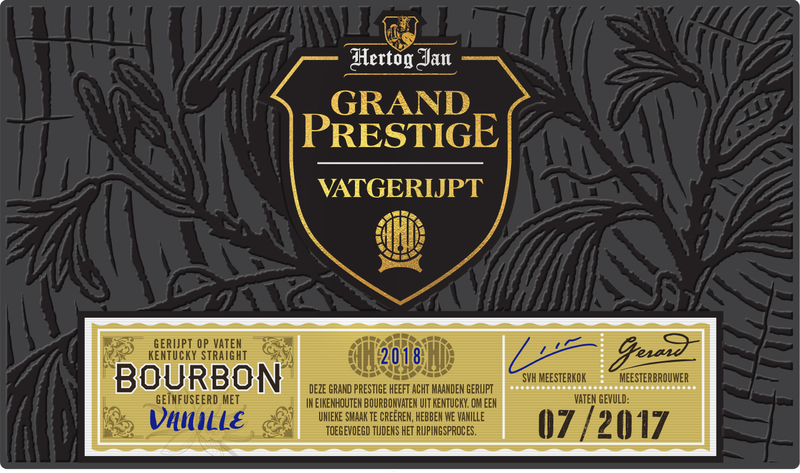 For the branding, first and foremost we wanted to honour the beer that goes into the barrel - Grand Prestige. 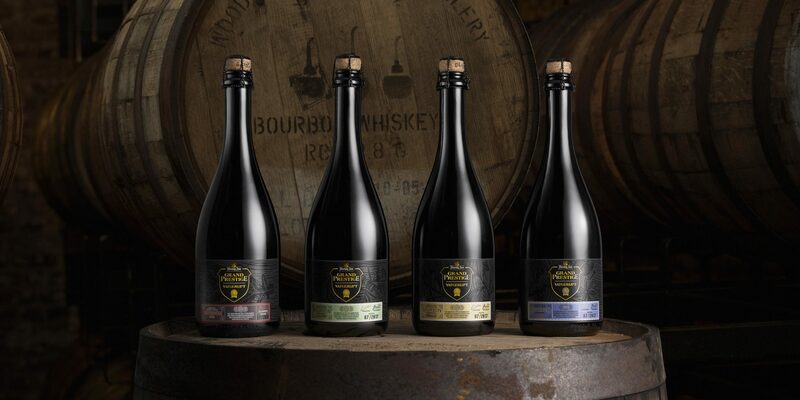 That meant using the distinctive shield device of the parent brand, and to this we added two new components: a resting barrel symbol, and a detailed description of the ageing process and the resulting taste profile of each beer. 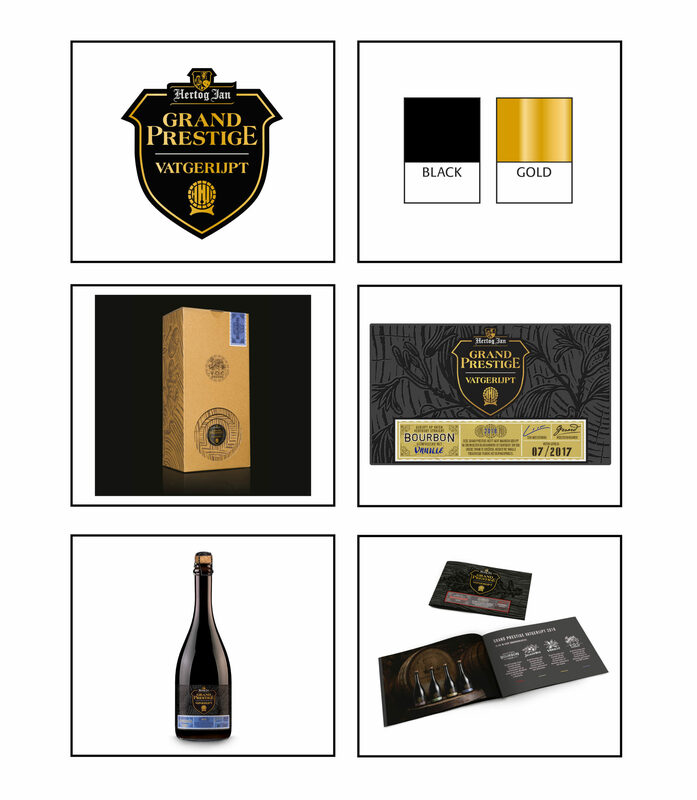 The label background uses raised inks to create textural anticipation, whilst the outer gift box and booklet builds the story of the intricate infusion and layering of flavours.